The sweet challenging addition of an unknown, traditional Ethiopian flour, so light and peculiar. It is left intact because it is too small to process and is wholemeal. Gluten-free and lactose-free. 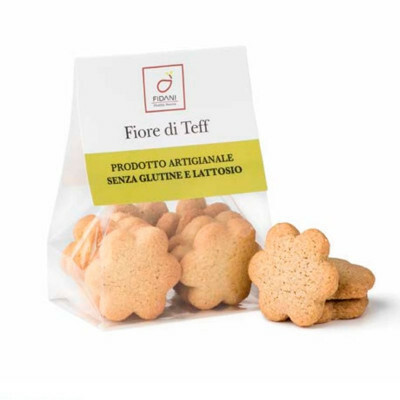 Gluten-free and lactose-free flower shaped biscuits.